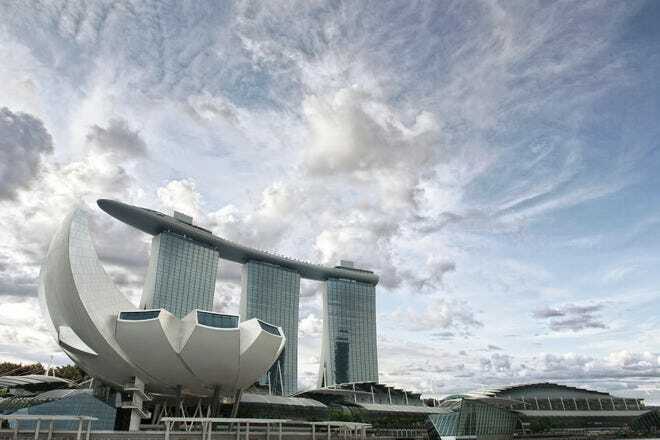 There is no shortage of world-class visitor attractions in Singapore. Families are well catered for with the trio of wildlife parks – the Singapore Zoo, Night Safari and Jurong Bird Park, while the Marine Life Park boasts the world’s largest aquarium and the Universal Studios theme park is great for a family day of fun. 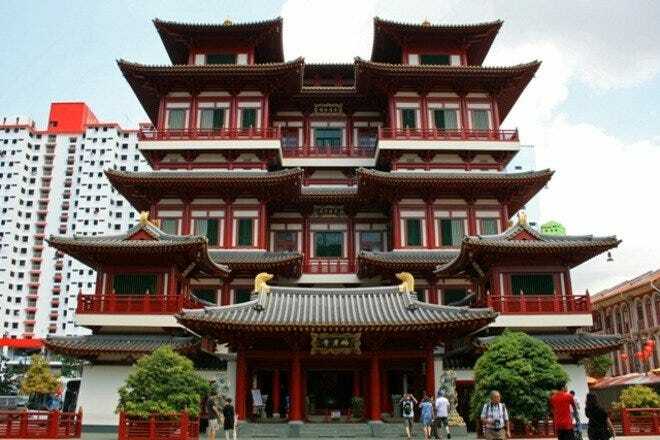 Culture vultures will find a wealth of museums celebrating Singapore’s heritage and documenting the war years, and even general sightseeing is fun in Singapore with boat cruises, cable cars and observation wheels all at your disposal. Hot Tips: Major attractions on weekend afternoons. If you must go at the weekend, get there early. Hot Tips: The weather is extremely changeable in Singapore – carry sun cream and an umbrella with you at all times. Singapore boasts a wealth of hotels to suit most wallets, but where the city really excels is its luxury sector. Marina Bay is a popular area, with its stunning city skyline views and fantastic eating, shopping and entertainment choices all on the doorstep. 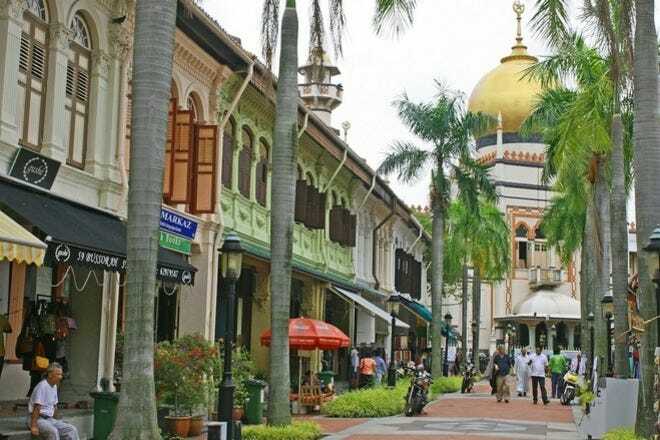 Those in town for some retail therapy should check into a choice of high-end options on Orchard Road, Singapore’s main shopping thoroughfare, while if its sun, sea, sand and family fun you’re after, then make Sentosa your home for your vacation. For something a little different, then Chinatown is a good choice for boutique hotels. Hot Tips: Sentosa hotels get booked up during local holidays with families taking 'staycations' – so book ahead. Singapore’s multi-cultural make-up means there is a huge selection of international culinary delights to choose from. Some of the city’s best local dishes can be found in its hawker centers, the city’s equivalent of ‘street food,’ while at the other end of the spectrum is the growing number of celebrity chef restaurants, which are springing up in the city’s high-end hotel complexes, particularly Marina Bay Sands and Resorts World Sentosa. 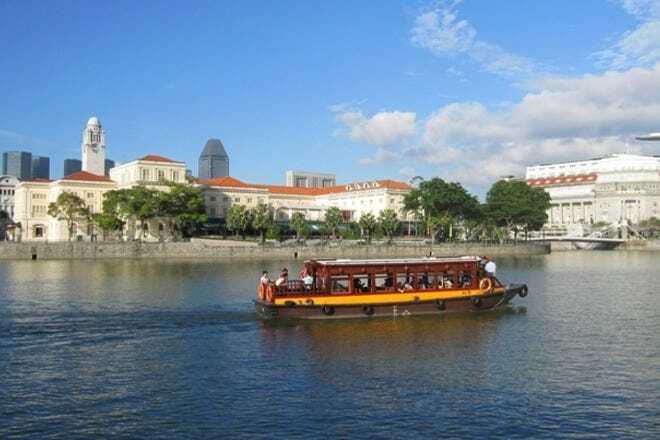 For those aiming somewhere in between, you'll find a concentration of restaurants along the river at Boat Quay, Clarke Quay and Robertson Quay, and also all over Chinatown. Hot Tips: Prices on menus tend to be exclusive of service and GST - an additional 17% will be added to your bill. Singapore has long since shrugged off its image of being ‘boring’ and now has one of the most vibrant nightlife scenes in Asia. 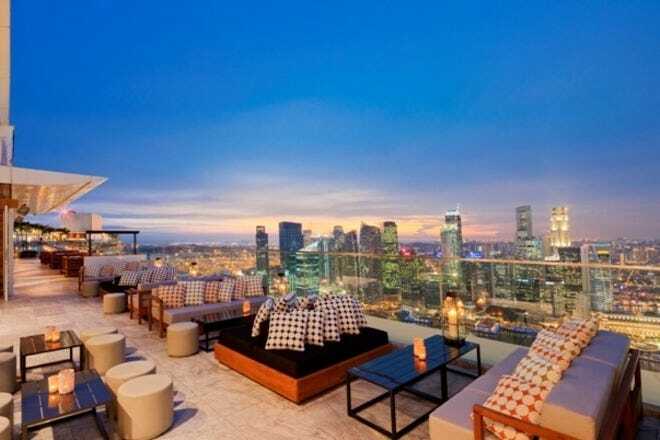 Stylish roof bars attract the city’s beautiful people in the Marina Bay and Financial District areas, while Club Street in Chinatown is a popular haunt for boutique wine bars and trendy cocktail lounges. Alfresco dining and drinking is always on offer along the Singapore River in the three popular quays - Boat Quay, Clarke Quay and Robertson Quay – while night owls will find a selection of dance clubs around the city attracting the world’s top DJs. Hot Tips: Drinking is expensive in Singapore but most bars run happy hours from 5 pm - 8 pm, and many have 'ladies' nights' on Wednesdays. Shopping is a major national pastime in Singapore, and you just need to visit a shopping mall at the weekend to prove the theory. Your first stop should be Orchard Road, the highest concentration of shopping malls in the world. It’s all about brands here, and the bigger and flashier the mall, the better. 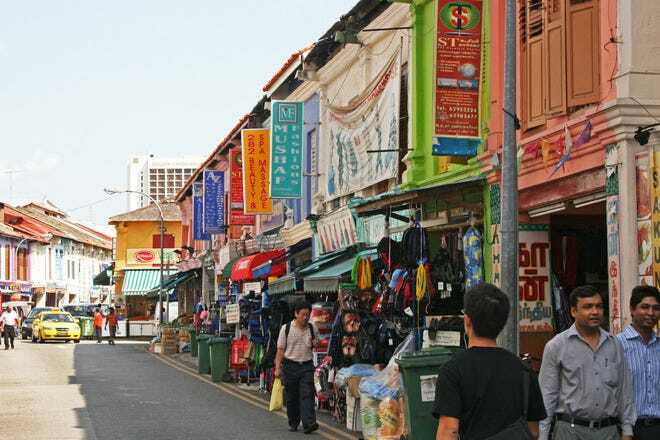 For souvenirs head to Chinatown or Little India, while Haji Lane in Kampong Glam is Singapore’s best stretch of independent and off-beat boutiques. Five of Singapore's most unique features and characteristics. In a country where a common greeting is “have you eaten?” in place of “how are you?” you know you are not going to go hungry! 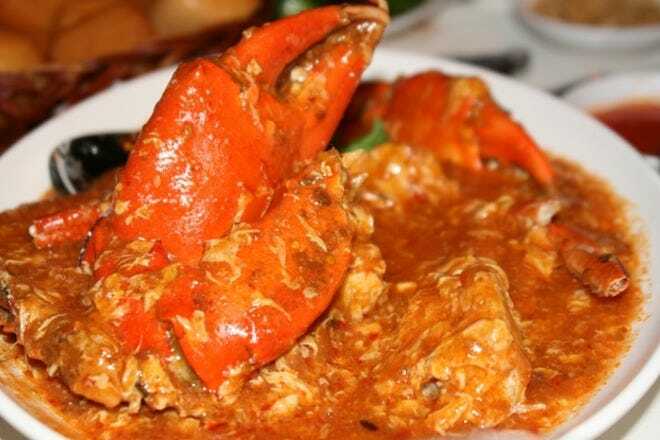 The melting pot of cultures in Singapore means that there is an incredible variety of food on offer – whether you opt for a cheap and cheerful road-side zi char joint or a fine-dining celebrity chef-owned establishment. The majority of locals eat in the hawker centres – the city’s version of street food, where you can pick up a plate of local cuisine for as little as $3 or $4. Apart from eating, the other national pastime in Singapore is shopping - you just need to visit a shopping mall at the weekend to prove the theory. 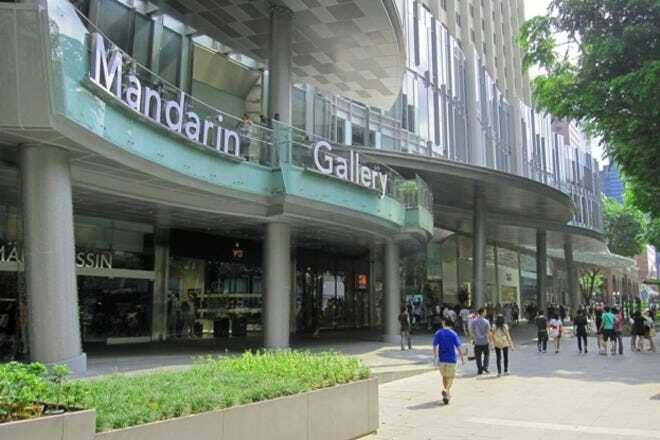 Orchard Road is the main shopping thoroughfare and boasts the highest concentration of shopping malls in the world. It’s all about brands here, and the bigger and flashier the mall the better. In fact Singaporeans are so obsessed with shopping that they dedicate an entire two months a year to celebrating consumerism, with the Great Singapore Sale running annually from May to July, with many shops slashing prices by up to 70%. 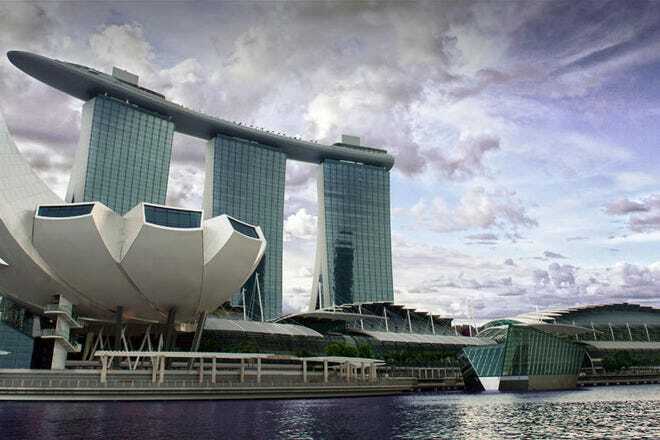 Singapore is not called the Garden City for nothing, boasting a huge number of national parks and reserves – quite amazing when you consider that this small island of just 41.8km by 22.5km is home to approximately five million people. The Botanic Gardens make an impressive in-city getaway, and the new gardens being built in the Marina Bay area promise to be equally so. Particularly unique, however, are the areas of preserved rainforest, reservoirs and wetlands within the concrete metropolis, their signposted walking trails and visitor facilities making them popular weekend escapes with the locals. In a country that has four official languages and four official religions, there is always going to be some sort of cultural festival taking place. The Chinese Mid-Autumn Festival lanterns make way for Deepavali lights, which in turn make way for the Christmas decorations… and as the Christmas lights come down, the Chinese New Year lanterns go up. 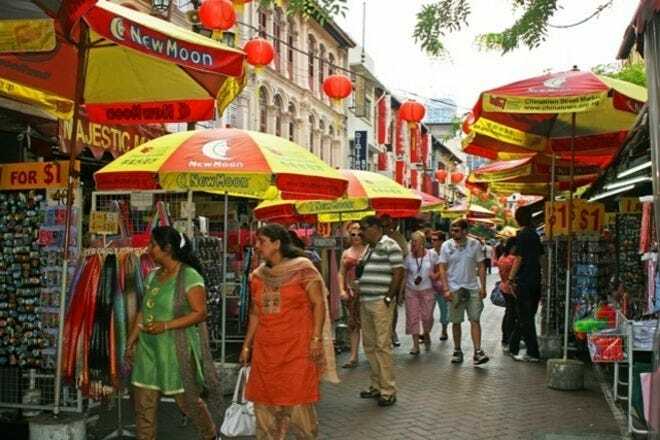 The best places to experience these cultural celebrations are the ethnic enclaves – Little India, Chinatown and the Arab Quarter, although the whole city usually joins in. Yes it’s hot in Singapore – and extremely humid. Singapore’s weather is also notoriously fickle, so prepare for all eventualities - don’t head out without sunglasses, suncream and an umbrella. What starts as a glorious sunny day can quickly descend into a full-blown thunderstorm in a matter of hours. The good news is it doesn’t usually last long, and the sun will come back out again soon (or at least tomorrow). Singapore also has a very high lightning strike – so if there’s a thunder storm, take shelter!